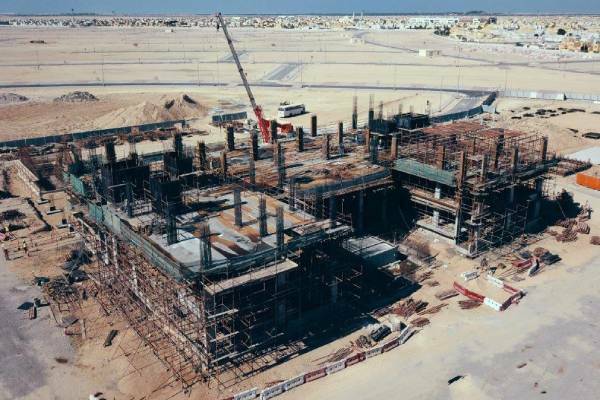 Abu Dhabi General Services Company (Musanada) has revealed that work is progressing as planned on eight new building projects for Abu Dhabi Police General Headquarters, said a report. The project, estimated to total Dh474 million, includes construction of the Civil Defence Centre at Al Falah region, three police stations at Al Falah, Al Saadiyat and Al Mirfa, the K9 Security Inspection Building – Phase 2, the boundary wall of the police training city and security gates at Al Haffar area. They also include a design and construction project aimed at enhancing the efficiency of the correctional and punitive facility compound "Al Wathba prison", and the Abu Dhabi Central Morgue project in Abu Dhabi city, a report in Wam said. "Helping to improve security performance and enhance safety and security for the community, these projects receive the attention and close follow up of His Highness Sheikh Mohamed bin Zayed Al Nahyan, Crown Prince of Abu Dhabi and Deputy Supreme Commander of the UAE Armed Forces," the report cited Major General Mohammed Khalfan Al Rumaithi, Commander in Chief of Abu Dhabi Police, as saying.